The dependence of the current density in graphene, the energy spectrum of which contains a forbidden band, on the characteristics and orientation of applied static and alternating electric fields is investigated. Graphene’s electronic system is described using the Boltzmann kinetic equation in the constant relaxation time approximation. 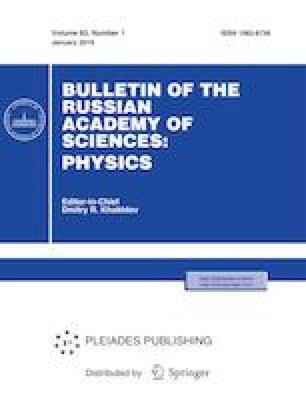 The effect of changing the direction of direct current at certain values of the intensity of a transverse static field and the amplitude of oscillations of an alternating transverse electric field is examined. This work was supported by the RF Ministry of Education and Science, project no. 3.2797.2017/4.6, and by the Russian Foundation for Basic Research, project no. 18-42-340005.